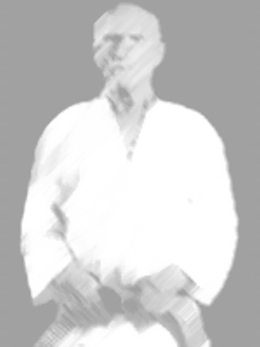 Our team is led by enthusiastic sportsmen and devoted bjj'ers and judoka’s. Our objective is to get everyone to a higher level, train hard, fight easy. We aspire not directly to a bigger and bigger team, but to a stronger team. That's why team spirit is one of our foundations, everyone needs everyone to get better, from white belt all the way to black belt and back. Our style is based on strong basic principles and from then learning more expert techniques on the ground and standing. From the experience acquired from national and international competitions, we can pay special attention to strengthening and conditioning and preparing students for competition if needed. Our team is under the supervision of Nicolaas Herbert and Jan Christiaan Herbert whom have together 4 WK titles and 14 OPEN EK titles. Next to the other titles they possesses in other martial arts. Beside their experience and several titles are they highly motivated to get everyone as individuals and as a team stronger. "All with a sense of humour."